3D printing is an additive manufacturing process. Compared to a subtractive manufacturing process (think chisel and hammer), 3D printing minimizes waste and effort to optimize value and speed. Printed layer upon layer, from layers as thin as 16μ (and as thick as 30μ), a 3D model of any STL or CAD file is constructed. Compared to other additive manufacturing processes (such as SLA, SLS and FDM), 3D printing is generally faster, cheaper and easy to use. The first 3D prototypes were created as far back as the 3rd century (with Buddhist sculptures). These were created using a subtractive process – materials were subtracted from a larger base material until the model was complete. Moving closer to the current date, Plastic Technology says that since 2003, the number of sales of 3D printers has increased rapidly. Today, the common inventor or major companies can use a 3D printer in-home or in-office to fulfill their 3D printing and 3D prototyping needs. This technology reduces the amount of waste significantly and produces models with unparalleled accuracy. How is an object printed in 3D? There are several steps to this process. 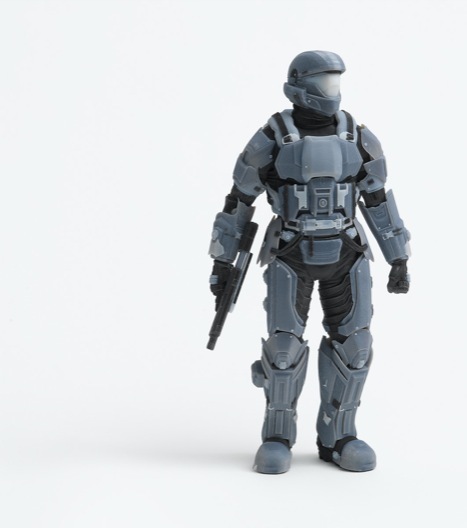 First a file (STL or CAD) must be imported, scanned or created and is then interpreted using 3D printing software. This software produces a computer based model that can be altered to meet any requirement. Next, the model begins construction and, depending of the object and printer, a jet starts printing the object layer by layer. With Objet's line-up of industry leading printers, almost any idea can be printed. We use dual-jet printing technology to combine materials, which creates new composite materials tailored to your exact needs. From plastic, to rubber to metal to custom polymers, Objet’s 3D printers layer material on top of itself to manufacture the ultimate prototype. Immediately after each layer is printed, it is cured by a UV light, which produces ready-to-use models that are very durable and because it is all printed at one time, all moving parts (wheels, gears and axels, etc.) are ready to use immediately after print. Our technologies print a support material during the3D printing process which is easily rinsed off with water. From inventors to footwear, education, industrial design, jewellery, architecture, engineering and construction (AEC), medical and dental industries, automotive, geographic information systems (GIS), aerospace, civil engineering (and much more!) 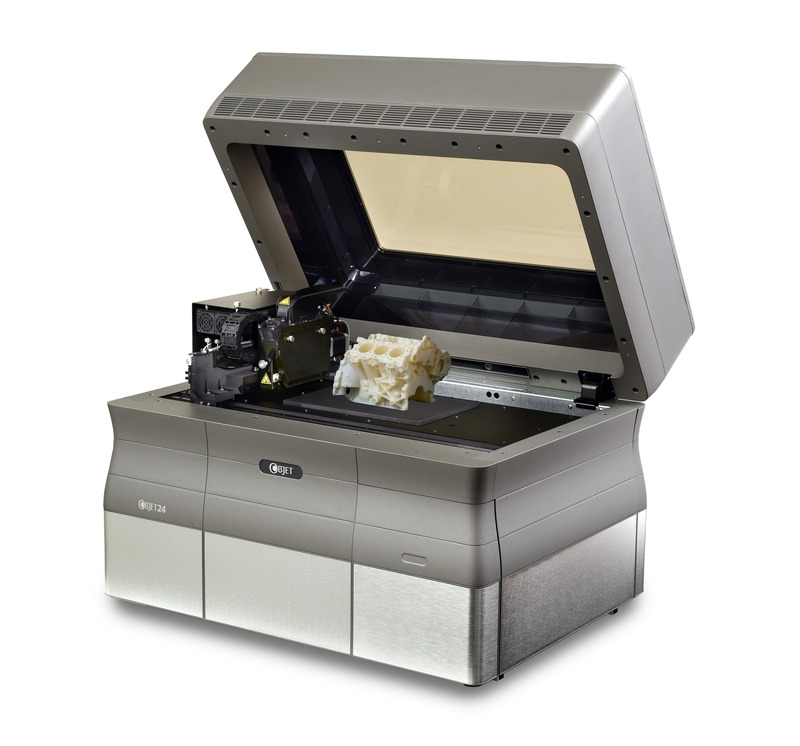 3D printers can help you with any 3D printing solution.